Here is a map made using a new extended version of the My Precious style (direct link to the style description). 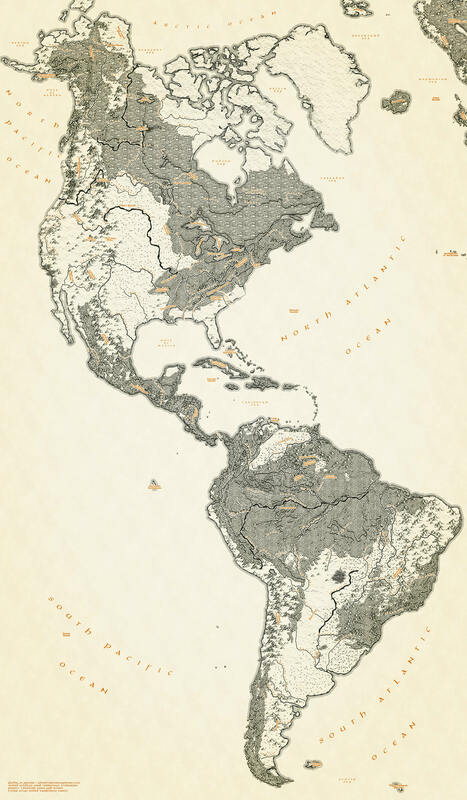 It shows the World Wildlife Fund’s terrestrial biomes and labels from the Living Atlas World Landforms. Lakes and rivers come from Project Linework. The font is Aniron by Pete Klassen. This is very cool, but the style file is a .stylx, which only works in ArcGISPro. Do you have a .style file that works in both ArcMap and in Pro? That would be much appreciated! Hi, thanks! No, these styles are only viable in ArcGIS Pro. ArcMap doesn’t have the graphic capacity to handle many of the effects, like gradients with inter-stop transparencies, etc. But if you have a license to ArcMap then you also have a license for Pro, and they can be installed concurrently.